Perimeter Drainage has been the leader in design, installation, and maintenance of residential pump stations and accessories for almost 20 years. Our installations are the best in the business. Our installs include cast iron check valves, ball-union superblocks, and top notch pumps from Zoeller 260 Series and FE Myers WHR series pumps. 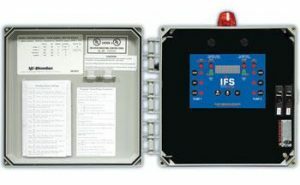 We install the best SJE Rhombus IFS control panels with run time and counter capabilities. This allows us to determine the approximate wear and tear on your pumps. When there is a power outage, think of Perimeter. We install Generac Natural Gas Automatic Generators. Why worry about flooding when you have the peace of mind with one of these systems installed. How far away are you pumping until you reach a point where water will flow by gravity. What size will the discharge pipe or forced main be. 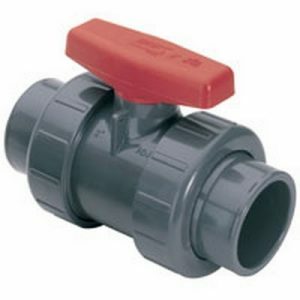 A forced main is a pipe that is under any amount of pressure. How many fittings will be associated with the installation. How much volume of water over a given time frame will need to be pumped in order for your property to not flood. How big a storage facility will be needed. Each item is an integral part of the pump system. The first four items determine the amount of head loss that will occur in the design. A pump could be capable of pumping 100 litres per minute without any head loss. After installing a forced main that goes up 10 feet, the pump may only be capable of pumping 80 litres a minute. Install some fittings that change the direction of the forced main, and now you are pumping 40 litres a minute. If you then install an undersized forced main, by the time you are finished, the pump may be struggling to pump 15 litres a minute. It is very important that a professional engineer design the right system for the right application. Some pumps are designed to pump large volumes of water. Others are designed to pump high elevations. Each pump has its purpose. The volume of water entering the sump and the size of the pumps installed determines the size of the sump. 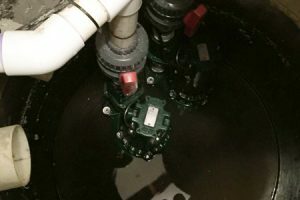 The minimum size of a sump should be at least 36” (inches) for a two-pump system and you should have at least a minimum of 36” (inches) of retention. Most systems have a minimum of 42-48” (inches) of retention and some systems have a separate retention sump. Two pumps are recommended for a pump system installation. If one pump fails, the other pump will act as a backup. Every time we have attended a flood where the residence pumps, the main cause of failure is not having a proper backup. If there are two pumps installed in a pump system, a duplex panel should be installed. This allows the panel to turn each pump on alternately. The main benefit of this type of system is to allow for equal wear on the pumps. A duplex panel also comes with a high level alarm. This alarm tells there is a problem the pump station before the water level reaches a flood level. A high level alarm can also be installed without installing a duplex panel. We recommend that your duplex pump be installed with run time and counter capabilities. This allows us to determine how much your pumps are running and how many times they cycle. This can assist us in adjusting floats, and gives us more information on when your pumps should be switched out. We recommend annual maintenance on your pump station to reduce the risk of flooding. The pumps are pulled and cleaned, debris in the sump is removed and the floats are tested. We check your back flow valves and check the efficiency of your pump. If you have run time and cycle count, we take note of this and enter it into our Preventative Maintenance System Database. Regular maintenance is the key to reduce your chance of pump failure, especially when your pumps are needed the most.